Learn Thai Cooking with Joy in paradise! Ever wanted to acquire the Thai cooking skills needed to prepare your own delicious Thai dishes? Now you can do this on one of the most beautiful islands in Thailand – Koh Tao! All our Thai cooking lessons are held in small groups. No more than 6 cooking apprentices are in each Thai cooking course. They are led by our experienced Thai chef “Joy”. 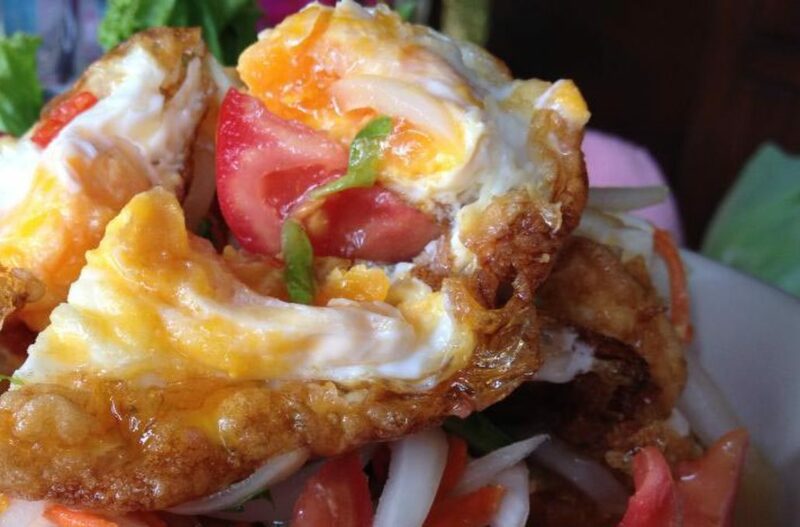 Joy speaks fluent English and is highly knowledgeable in all aspects of preparing Thai dishes. Her specialties are sea food (southern Thai cuisine) and vegetarian spicy dishes. Wanna take a course? – Contact Us! We are very proud, that from November 14th. 2018 on, you can take a selection of our cooking classes suitable for online teaching, from everywhere on the planet, given you own a lap top and have a fast internet connection. We teamed up with “THE CHEF & THE DISH” featured on CBS National, Fine Dining Lovers and many more publications. They are the pioneering company in bringing people all over the world together on a kitchen table, to learn signature dishes of the countries the renowned chefs you invite into your home, represent. To get more information or to book a virtual, interactive class please visit the Thai section of “THE CHEF & THE DISH”. Thai food has become a popular cuisine all around the world. It is (at least some dishes) easy to prepare, very tasty and on top of it all, really healthy. The amount of recipes is sheer endless, due to the four regional Thai cooking cuisines which contain, each for themselves, more different foods than most national cuisines in the world. Isan food, which comes from the northeast, influenced by Laos and the Khmer cuisine to it’s south. Southern Thai food, the cuisine of the Isthmus of Kra, enveloped by tropical waters with its many islands – the area where our cooking school is located. What all four different cuisines have in common, is their unique approach to taste. Traditionally, Thai food has to appeal to at least three of the five taste senses, which are: Sweet, sour, spicy, bitter and salty. Thai peoples delight in food is not simplicity, but complexity, of taste. An array of disparate ingredients are carefully balanced to provide a firework for the senses. If you are interested in, in depth information on Thai food culture and cuisine, read this article here.